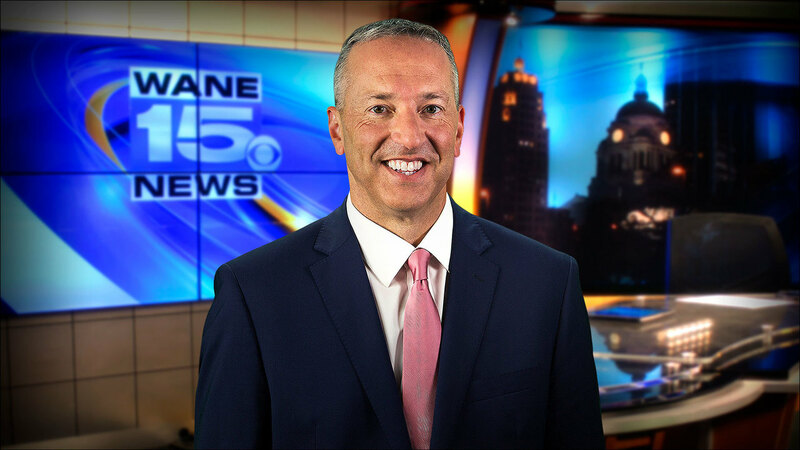 Longtime Fort Wayne broadcaster Dirk Rowley joined WANE 15 as evening anchor in August of 2018. "I'm excited to join Terra and the award-winning team at WANE 15. By any metric, on any platform, these people lead the way in local reporting and coverage," says Rowley. Dirk's history with the station goes back further. You might remember him in the early 1990s as a fill-in weatherman during some noon, weekend or holiday newscasts. "Let's just say the meteorologists have nothing to worry about. No need to revisit that chapter. " Prior to joining WANE 15, Dirk hosted and produced a daily half hour TV talk show, which featured leaders of government, business, and non-profit groups. During those four years, Dirk interviewed nearly 1% of the population of northeast Indiana. "Few jobs offer the chance to engage four different groups a day - roughly 1,000 a year - to learn about how they are making a difference. I spent four years in 'listening mode.'" Before TV, Dirk spent 30 years in radio, much of that hosting perennial favorite "Majic in the Morning with Dirk and Jeannette" on WAJI-FM. The pair led the annual Riley Radiothon, raising roughly $1 million to help sick children. Dirk was often the only male reporting daily from the annual Vera Bradley Outlet sale. "The stories were more colorful than the bags." Dirk also used his radio show to help in the early development of Kate's Kart children's charity. He has worked or lived in all four quadrants of the Summit City. Dirk began his broadcast career in Marion, IN, working full-time while attending Eastbrook High School. He continued working his way through college at Taylor University, where he received a B.A. degree in Broadcasting and for two years wrote a weekly column in the school newspaper. He arrived in Fort Wayne in 1989, working at WQHK, WMEE, and WBTU. He also worked briefly in Las Vegas and South Bend before returning to Fort Wayne. Dirk married a Snider grad; his three children are graduates of Carroll. His family has attended Pathway Community Church since it began. He golfs poorly, reads constantly, and goes to restaurants like it's his job. For story ideas, email Dirk at dirk.rowley@wane.com.